Posted May 8th, 2014 - News Posted for ISA News. 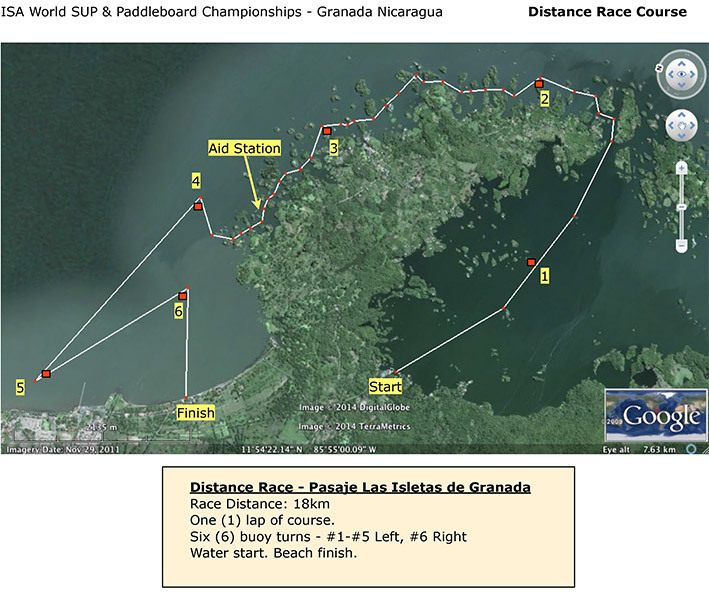 The racing portion of the 2014 ISA World StandUp Paddle and Paddleboard Championship has officially kicked off on Thursday in the historical and colonial city of Granada, on the picturesque Lake Nicaragua. 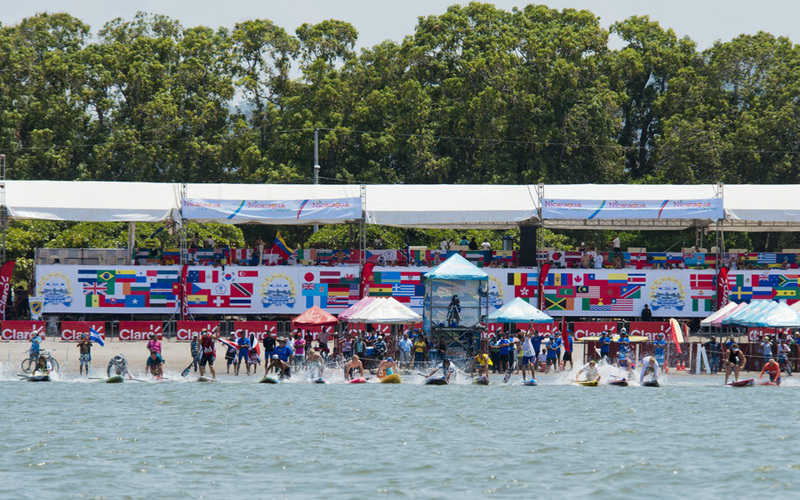 The SUP and Paddleboard Technical Races, plus the ISA Relay Race semifinals took place during Day 5 of the ISA WSUPPC. The world’s best raced for a spot in the Grand Finals that will take place on Sunday. Sunny skies, hot weather and Lake Nicaragua’s typically strong winds greeted the athletes from the start of today’s competition. 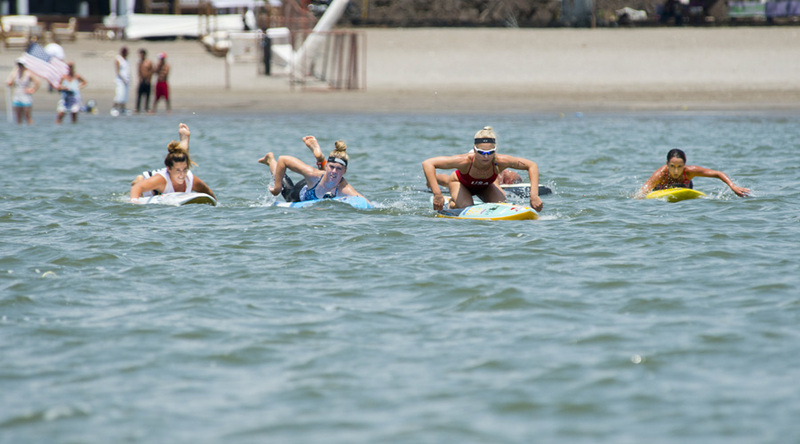 The first race in the water was the Paddleboard Technical Races for Men and Women. The best racer in the Men’s was Australia’s Rhys Burrows, who competed in Heat 2. Burrows finished his race in 26:31 and secured a spot on Sunday’s final. In heat #2 of the Women’s Paddleboard Technical Race, USA’s Carter Craves, the 2013 Catalina Classic Women’s Champion, led the pack. The American finished in 29:06 to defeat her rivals. In heat #1 the 2012 and 2013 ISA WSUPPC Gold Medalist, Jordan Mercer won her Heat in 31:11. Finishing more than two minutes behind Craves, Mercer has her work cut out in the finals. 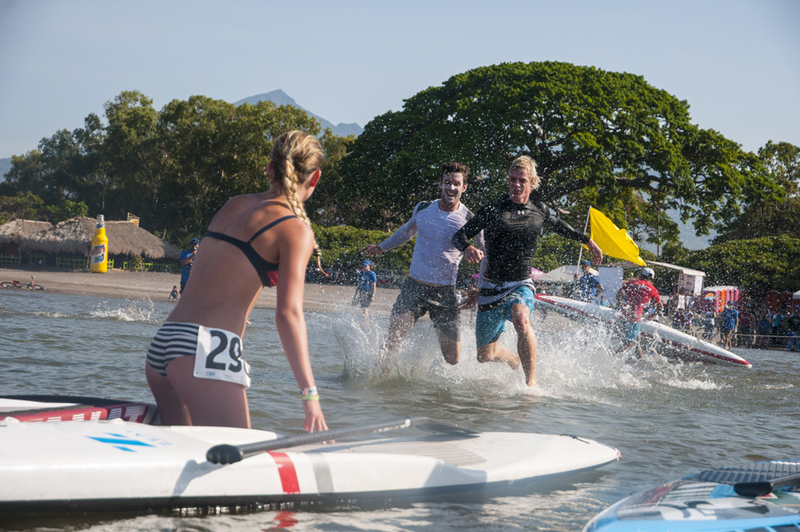 Up next was the SUP Technical Racers, who also gave a great show to the hundreds of local spectators that visited Lake Nicaragua today. The 8 buoy, butterfly shaped course of 6km in length provided an exciting platform for the races. 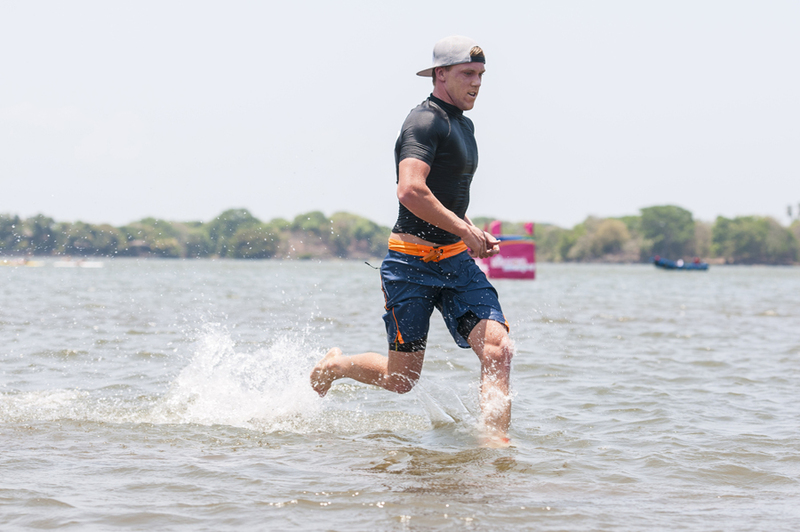 In the Men’s SUP Technical Race, Casper Steinfath from Denmark, defending ISA World Champion, had the best overall time of the day, finishing in 25:00. Steinfath was in 4th place with only 300m to go in the race, but the experienced champion kicked in to high gear and blew past the Mexico’s Fernando Stalla (25:03), Brazil’s Vinicius Martins (25:08) and USA’s Chuck Glynn (25:12). The fastest racer in the Women’s SUP Technical Race was Canada’s Lina Augaitis, 2014 Abu Dhabi All Stars Grand Slam Champion. Augaitis finished in 26:48 defeating 2013 ISA WSUPPC Gold Medalist, Shakira Westdorp (27:01) from Australia. The day closed with the exciting ISA Team Relay Races, where Team USA set the pace with the best time of 18:07, almost a minute faster then the second place finisher in heat #2. In heat #1 the Australia took a commanding lead and finished in first with a time of 18:24. 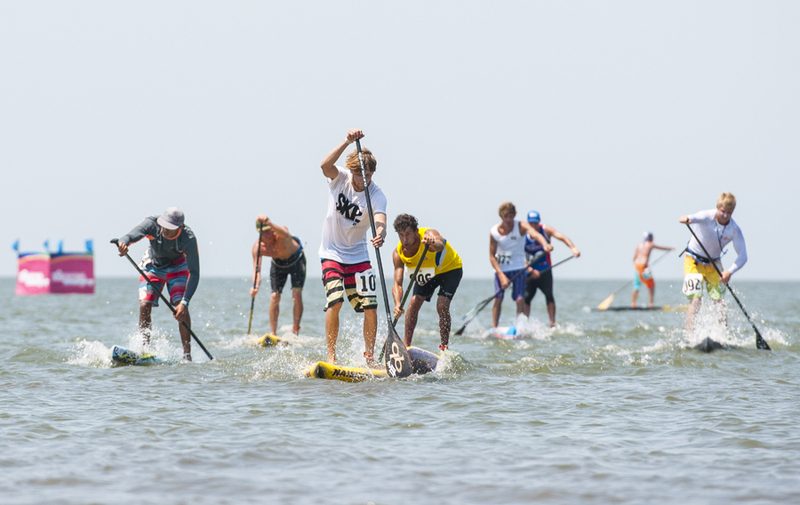 Competition resumes on Friday with The Morning Show hosted by Beau Hodge and Jamie Mitchell at 8:40am, followed by the Women’s SUP and Paddleboard Distance Race at 9:00am. The long distance course will run through the breathtaking “Isletas of Granada” and will be 18km in length.